African Studies Association, History in Africa, Vol. 11, African Studies Association, 1984, University of Michigan, pp. 42-51. Monteil, Charles, "Fin de siècle à Médine (1898-1899)", Bulletin de l'lFAN, vol. 28, série B, n° 1-2, 1966, p. 166. Monteil, Charles, "La légende officielle de Soundiata, fondateur de l'empire manding", Bulletin du Comité d 'Etudes historiques et scientifiques de l 'AOF, VIII, n° 2, 1924. Robert Cornevin, Histoire de l'Afrique, Tome I: des origines au XVIe siècle (Paris, 1962), 347-48 (ref. to Delafosse in Haut-Sénégal-Niger vol. 1, pp. 256-257). Crowder, Michael, West Africa: an introduction to its history, Longman, 1977, p. 31 (based on Delafosse's work). Delafosse, Maurice Haut-Sénégal-Niger: Le Pays, les Peuples, les Langues; l'Histoire; les Civilizations. vols. 1-3, Paris: Émile Larose (1912) (eds Marie François Joseph Clozel). ^ Conrad 2005, p. 44. ^ a b Cox, George O. African Empires and Civilizations: ancient and medieval, African Heritage Studies Publishers, 1974, p. 160. ^ Noel King (ed. ), Ibn Battuta in Black Africa, Princeton, 2005, pp. 45–46. Four generations before Mansa Suleiman who died in 1360 CE, his grandfather's grandfather (Saraq Jata) had embraced Islam. ^ a b Conrad 2005, p. 12. ^ a b eds Alexander, Leslie M., & Walter C. Rucker, Encyclopedia of African American History, Vol. 1, pp. 109-110, ABC-CLIO, 2010, 1-85109-769-4. ^ Ed. Senghor, Léopold Sédar, Éthiopiques, Issues 21-24, Grande imprimerie africaine, 1980, p. 79. ^ Conrad, David C., Sunjata: a West African epic of the Mande peoples (eds David C. Conrad, Djanka Tassey Condé, trans. David C. Conrad), pp. ix, x, xxvi, Hackett Publishing, 2004, 0-87220-697-1. ^ A Grammar of the Mandingo Language: With Vocabularies, by Robert Maxwell Macbrair, London 1873, p. 5. ^ Maurice Delafosse, La langue mandingue et ses dialects (Malinké, Bambara, Dioula), Paris 1929, p. 612. There, the author brings down the French word "roi" (English: king), and brings its Mandingo equivalent, mã-nsa, mã-sa, mā-sa, ma-nsa-kye. ^ a b c d e f g h i j k l m Niane, D.T. (1998-05-10). “6. Mali and the second Mandingo expansion”. In D. T. Niane (PDF). Africa from the Twelfth to the Sixteenth Century. UNESCO General History of Africa, Vol. IV. University of California Press. pp. 117-171. ISBN 978-0520066991. http://unesdoc.unesco.org/images/0018/001842/184287eo.pdf 2018年1月1日閲覧。. ^ Snodgrass 2009, p. 77. ^ a b c d Conrad, David C., Sunjata: a West African epic of the Mande peoples (eds David C. Conrad, Djanka Tassey Condé, trans. David C. Conrad), p. xxxv, Hackett Publishing, 2004, 0-87220-697-1. ^ Conrad 2005, p. 35. ^ BBC World Service, see: See: BBC World Service, The Story of Africa, West African Kingdoms (under Origins). ^ See vols. 1-3 Delafosse, Maurice, Haut-Sénégal-Niger (Soudan Français), le Pays, les Peuples, les Langues, l'Histoire, les Civilisations (vols. 1-3)(in Gallica). ^ Delafosse, Maurice, Traditions historiques et légendaires du Soudan occidental, Traduites d'un manscrit arabe inédit par Maurice Delafosse (in Gallica). ^ Stride, G. T., & Caroline Ifeka, Peoples and Empires of West Africa: West Africa in history, 1000-1800, Africana Pub. Corp., 1971, p. 49. ^ Fyle, Magbaily, Introduction to the History of African Civilization: Precolonial Africa, p. 61. ^ Niane, Djibril Tamsir, Unesco. International Scientific Committee for the Drafting of a General History of Africa, Africa from the twelfth to the sixteenth century, Unesco. International Scientific Committee for the Drafting of a General History of Africa, p. 133, University of California Press, 1984, 0-435-94810-5. ^ Mwakikagile, Godfrey, Ethnic Diversity and Integration in the Gambia (2010), p. 224, 9987-9322-2-3. ^ Austen, Ralph A., In Search of Sunjata: The Mande Oral Epic As History, Literature and Performance, Bloomington: Indiana University Press (1999), p. 93, 0-253-21248-0. ^ Fage, J. D, The Cambridge History of Africa: From c. 1050 to c. 1600 (eds J. D. Fage, Roland Anthony Oliver), p. 390, Cambridge University Press, 1977, 0-521-20981-1. ^ Badru, Pade, The Spread of Islam in West Africa: colonization, globalization, and the emergence of fundamentalism, pp. 100-102, Edwin Mellen Press, 2006, 0-7734-5535-3. ^ a b Collins, Robert O., & James McDonald, A History of Sub-Saharan Africa, p. 84, Cambridge University Press, 2007, 0-521-86746-0. ^ Historians believe that Sundiata was not a devout Muslim and that it was his descendants who made Islam the official religion of the nobility. ^ "Religion in Africa and the Diaspora - Comparative Belief Study", African Belief. ^ Stride, G. T., & Caroline Ifeka, Peoples and Empires of West Africa: West Africa in history, 1000-1800, Africana Pub. Corp., 1971, pp. 51-53. ^ a b Austen, Ralph. Trans-Saharan Africa in World History, Oxford University Press, 2010, p. 98. ^ Niane 1965, p. 21. ^ The Encyclopedia Americana, Vol. 11, Americana Corp., 1977, p. 667, 0-7172-0108-2. ^ a b Asante, Molefi K., Mazama, Ama, Encyclopedia of Black Studies, SAGE Publications, 2005, p. 318, 0-7619-2762-X. ^ Ngom, Biram: La question Gelwaar et l’histoire du Siin, Dakar, Université de Dakar, 1987. ^ Djibril Tamsir Niane, Histoire des Mandingues de l'Ouest: le royaume du Gabou, p. 22. ^ Fage, J. D., & Oliver, Roland Anthony, The Cambridge History of Africa, p. 381. Cambridge University Press, 1975. ^ Snodgrass (2009), Encyclopedia of the Literature of Empire, p. 77. ^ a b Boahen, A. Adu, Topics in West African History, p. 16, Longman, 1966, 0-582-64502-6. ^ Delafosse, Maurice, Haut-Sénégal-Niger: Le Pays, les Peuples, les Langues; l'Histoire; les Civilizations, vols. 1-3, Paris: Émile Larose (1912) (eds Marie François Joseph Clozel). 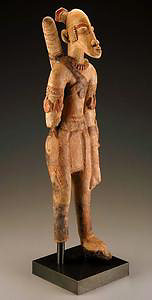 ^ See also: Mamadou Kouyate quoted in BBC World Service, The Story of Africa, "West African Kingdoms" (under Origins). ^ Cooley, William, The Negroland of the Arabs Examined and Explained (1841): Or an Enquiry Into the Early History and Geography of Central Africa, p. 62, Routledge, 1966 0-7146-1799-7. ^ a b Ellen Snodgrass, Encyclopedia of the Literature of Empire, p. 78. ^ Great Britain. Naval Intelligence Division, French West Africa: The Federation, HMSO, 1943, p. 171. ^ Ronica Roth, "Mali's Boy-King: A Thirteenth-Century African Epic Becomes Digital" (in NEH): Humanities, July/August 1998, Vol. 19/Number 4. ^ Trey McElveen, Mrs. Rohlfs, "Hamlet and The Lion King: Shakespearean Influences on Modern Entertainment", British Literature, 17 April 1998 (in lionking.org). Snodgrass, Mary Ellen, Encyclopedia of the Literature of Empire, p. 77, Infobase Publishing, 2009, 1-4381-1906-2. Conrad, David C. (1992). “Searching for History in the Sunjata Epic: The Case of Fakoli”. History in Africa 19: 147–200. JSTOR 3171998. Conrad, David C. (2005). Empires of Medieval West Africa. Infobase Publishing. ISBN 1-4381-0319-0. https://archive.org/details/EmpiresOfMedievalWestAfrica 2018年1月1日閲覧。. .
Jansen, Jan (2001), “The Sunjata Epic: The Ultimate Version”, Research in African Literatures 32 (1): 14–46, doi:10.1353/ral.2001.0016, JSTOR 3820580, http://jstor.org/stable/3820580 . Niane, D. T. (1965), Sundiata: an epic of old Mali, London: Longmans . Biebuyck, Daniel P. (1976), “The African Heroic Epic”, Journal of Folklore Institute 13 (1): 5–36, JSTOR 3813812, http://jstor.org/stable/3813812 . Bulman, Stephen (2004), “A school for epic? The école William Ponty and the evolution of the Sunjata epic, 1913-c. 1960”, in Jansen, Jan; Mair, Henk M. J., Epic Adventures: Heroic Narrative in the Oral Performance Traditions of Four Continents, Münster: Lit Verlag, pp. 34–45, ISBN 3-8258-6758-7, https://books.google.com/books?id=UJEyHSUy8GMC&lpg=PP1&pg=PA34#v=onepage&q&f=false . Conrad, David C. (1984), “Oral sources on links between great states: Sumanguru, Servile Lineage, the Jariso, and Kaniaga”, History in Africa 11: 35–55, JSTOR 3171626, http://jstor.org/stable/3171626 . Davidson, Basil (1995), Africa in History: Themes and Outlines, New York: Simon & Schuster, ISBN 0-684-82667-4 . Gilbert, E.; Reynolds, J.T. (2004), Africa in World History: from prehistory to the present, Pearson Education, ISBN 0-13-092907-7 . Janson, Marloes (2004), “The narration of the Sunjata epic as gendered activity”, in Jansen, Jan; Mair, Henk M.J., Epic Adventures: Heroic Narrative in the Oral Performance Traditions of Four Continents, Münster: Lit Verlag, pp. 81–88, ISBN 3-8258-6758-7 . Johnson, John William. 1992. 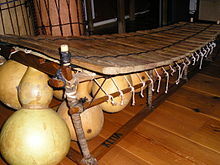 The Epic of Son-Jara: A West African Tradition. Bloomington: Indiana University Press. McKissack, Patricia; McKissack, Fredrick (1995), The Royal Kingdoms of Ghana, Mali and Songhay: Life in Medieval Africa, Sagebrush, ISBN 0-8050-4259-8 . Newton, Robert C. 2006. Of Dangerous Energy and Transformations: Nyamakalaya and the Sunjata Phenomenon. Research in African Literatures Vol. 37, No. 2: 15-33. Quiquandon, F. (1892), “Histoire de la puissance mandinque d' après la légende et la tradition” (French), Bulletin de la Société de géographie commerciale de Bordeaux 15: 305–318, http://gallica.bnf.fr/ark:/12148/bpt6k1046920/f320 . One of the first publications presenting a version of the Sundiata Epic. Tsaaior, James Tar (2010), “Webbed Words: masked meanings: proverbiality and narrative/discursive strategies in D. T. Niane's Dundiata: An Epic of Mali”, Proverbium 27: 339–362 . Waliński, Grzegorz (1991), “The image of the ruler as presented in the tradition about Sunjata”, in Piłaszewicz, S.; Rzewuski, E., Unwritten Testimonies of the African Past. Proceedings of the International Symposium held in Ojrzanów n. Warsaw on 07-08 November 1989, Orientalia Varsoviensia 2, Warsaw: Wydawnictwa Uniwersytetu Warszawskiego, http://www.orient.uw.edu.pl/web-kjika/images/stories/Testimonies/20_walinski.pdf . Published translations of the epic include D. T. Niane's prose version, Sundiata: An Epic of Old Mali (Harlow: Longman, 2006, 1994, c.1965: 1-4058-4942-8), Fa-Digi Sisoko's oral version, Son-Jara: The Mande Epic (Bloomington, Ind. : Indiana University Press, 2003), Issiaka Diakite-Kaba's French-English diglot dramatized version Soundjata, Le Leon/Sunjata, The Lion (Denver: Outskirts Press and Paris: Les Editions l'Harmattan, 2010). History of Mali With reference to Sundiata and his successors.